Welcome to my blog. I’m Mike Tuffrey – a leader, adviser, director, speaker and writer on business, government and sustainability. Based in London, I’ve worked across all three sectors for the last 30 years – which makes me a ‘tri-sector athlete’, I’m reliably informed. The big question I focus on these days is how business, government and civil society can work more effectively together to bring better outcomes for all… prosperity, health, well-being, both today and for my children’s generation, particularly in our big cities now half the world is urbanised. Literally and metaphorically, we are indeed all ‘in it together’. Click on This blog for more about my approach and on About Mike for details of my various activities. Follow the links to the organisations and partners I work with. Then please do get in contact if you’d like to collaborate. Latest research shows companies are still falling short on the SDGs, while investors move to close the funding gap. That means 2019 is the year to ratchet up the corporate act. As the year draws to a close, the clock is still ticking loudly towards the deadline for achieving the Sustainable Development Goals – described as the closest thing the world has to a ‘strategy’. Following on from the UN Millennium Development Goals, they were ratified by 193 countries in September 2015 and have 17 goals, with 169 specific targets, covering every aspect of life on planet earth, together providing an ambitious agenda for a better world, all to be achieved by 2030. I’ve been critical of the approach so far adopted by too many companies towards them. See ‘Let’s stop playing SDG bingo’ where I argued that simply mapping existing activity against the 17 goals to show a contribution is little more than ticking off each in turn and calling out ‘full house’. Companies should move on from this ‘pick-and-mix’ approach and show how the business is changing as a result of addressing the Goals, either in response to market trends and public policy stimulus or so as to increase the intended sustainability impact. 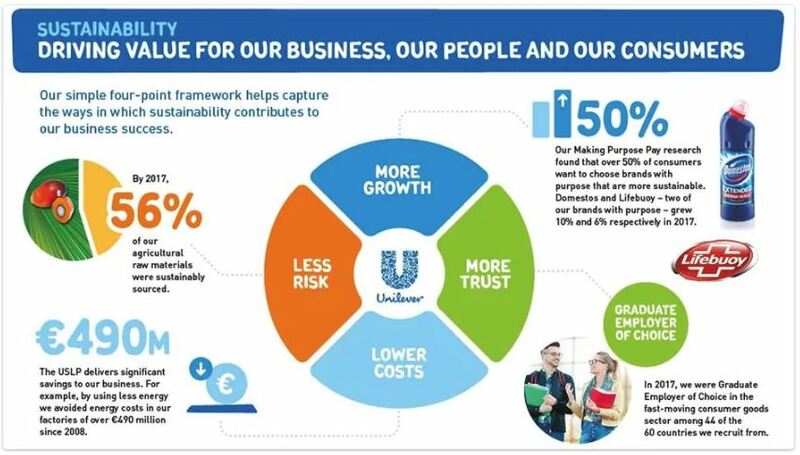 That said, I’m now seeing a slow up-tick in the number of companies who are going further and taking their SDG mapping back into the business with a change agenda. My test is whether they are re-engineering their own product or service portfolio to achieve greater impact or engaging with their partners across their value chain to do the same. The government is rightly making firms report more about their employees. However big changes are underway in how companies organise their whole labour force, which the new approach misses, as well as the longer term trends towards automation. First up, in July the Financial Reporting Council released the new UK Corporate Governance Code, aiming to “put the relationships between companies, shareholders and stakeholders at the heart of long-term sustainable growth in the UK economy.” A quarter of a century on from the original Cadbury Code, the emphasis is even more on building trust and strong stakeholder relationships. 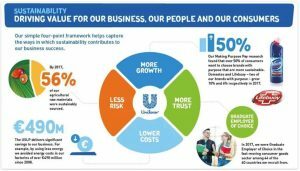 See here for the highlights – all about establishing a corporate culture aligned with the company purpose and business strategy, one that promotes integrity and values diversity. Again, the talk is all about principles, applied flexibly, not a rigid set of rules. The number of purpose-led businesses is growing, and with it the evidence of a pay-back for business and society. News breaks this week that the smoothie drinks company, innocent, has become a B Corp. With its iconic products on most supermarket shelves, this feels like a breakthrough moment for the B Corp movement in the UK. Innocent joins a roster of some 150 British firms – including Cook, Pukka Herbs, Divine Chocolate and (probably the largest) Danone UK – alongside some 2,500 worldwide. But isn’t innocent part of Coca-Cola, asked a sceptical colleague in the office; how can they be a B Corp? While the technical answer to that question lies in the detail of the certification process, the implication is that this has now become a proxy for an all round ‘good’ company – which only adds to expectations about the validation process. With record amount of money being spent on sports sponsorship, should we expect a social as well as commercial return? At Corporate Citizenship this week, we assembled a premier league team to discuss whether sports sponsorship can – and should – have a lasting impact beyond the immediate commercial payback. Sustainability meets sports, you might call it. Seb Coe – who chairs CSM, our sports and entertainment sister agency, and is best known for delivering the hugely successful London 2012 Olympics – joined Liz Nicholl, CEO of UK Sport, Martin George, customer director at Waitrose, and Justin King, ex CEO of Sainsbury’s where he set up that retailer’s ground-breaking sponsorship of the Paralympic Games. Pitch referee and incisive compere was our new CEO at Corporate Citizenship, Neil Davy.